The Walking Dead shows no signs of decay building up to its fifth season finale, and AMC isn’t about to stop that gravy train. Not only has the untitled spinoff, er … “companion series” been given an official series order, but already a Season 2 renewal and a summer 2015 premiere, plus the first photo from the series. Let jokes about “eating a dead horse” commence! 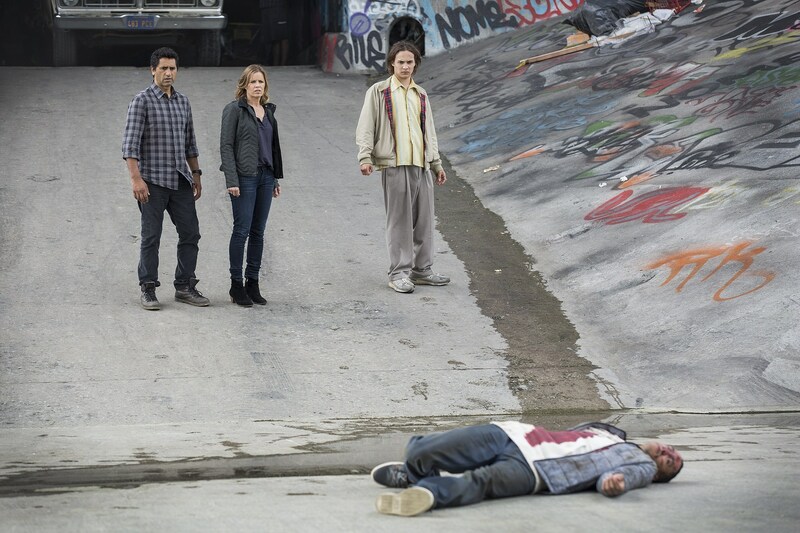 Still untitled (most rumors put the moniker as Fear the Walking Dead), the companion series to AMC’s monster smash will follow its predecessor with six episodes for its first season, set to debut sometime this summer. The second season will air in 2016, though whether we’ll see a 13-episode order or eight and eight like the main series remains to be seen. We take incredibly seriously the notion of building a satisfying companion series to the number one show on television. From the beginning of ‘The Walking Dead’ on AMC, we’ve been asked questions about what was going on in other parts of the zombie apocalypse, and what it looked like as the world really did ‘turn.’ Through this new series, we’re going to find out. Robert Kirkman, Dave Erickson and their writing team, along with an incomparable set of producers, cast and crew have created something remarkable and clearly distinct. We respectfully follow the request of Monty Python as we bring out (the latest of) our Dead. As to the spinoff’s confirmed details, The Last Airbender star Cliff Curtis will lead the cast as divorced teacher Sean Cabrera, with Gone Girl star Kim Dickens as high school guidance counselor Nancy. Also cast in the role of her two children from a previous marriage are Harry Potter and the Half-Blood Prince star Frank Dillane and AMC pilot Galyntine star Alycia Debnam Carey. Walking Dead executive producers Robert Kirkman, Gale Anne Hurd and David Alpert will all take part in the new L.A.-set series, while Sons of Anarchy and Low Winter Sun vet Dave Erickson will both co-write and executive produce, and Adam Davidson will direct the pilot. 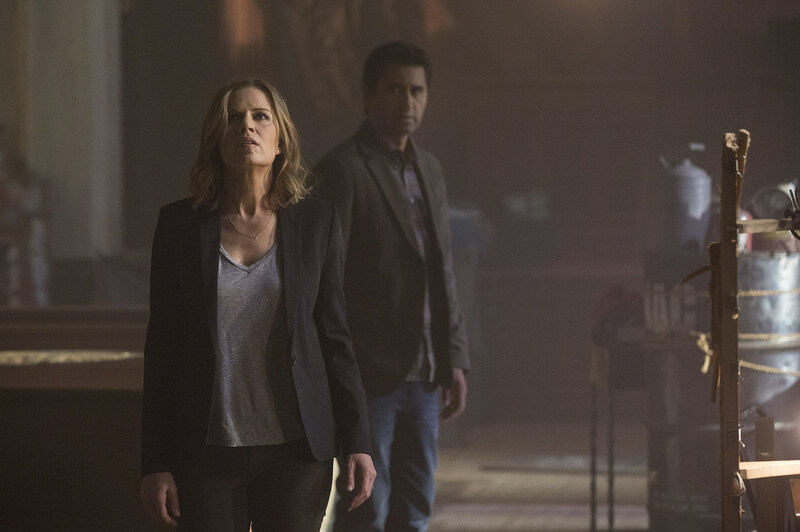 We’ll hopefully have an official title soon, but are you ready for two seasons of The Walking Dead spinoff between now and next year? What else can AMC milk at this point?